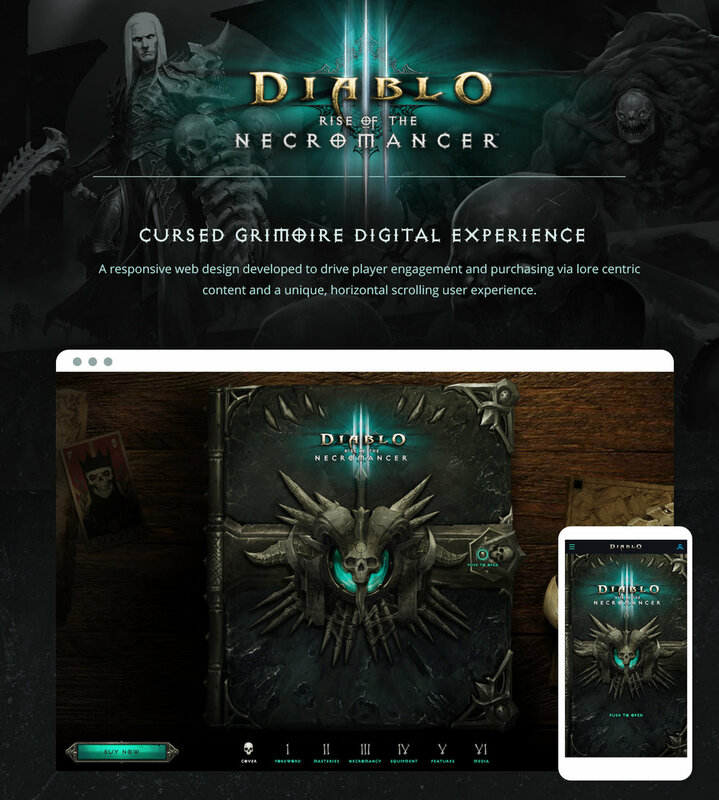 Challenge: Create a unique, on brand landing experience to drive conversions to the newest Diablo 3 DLC. 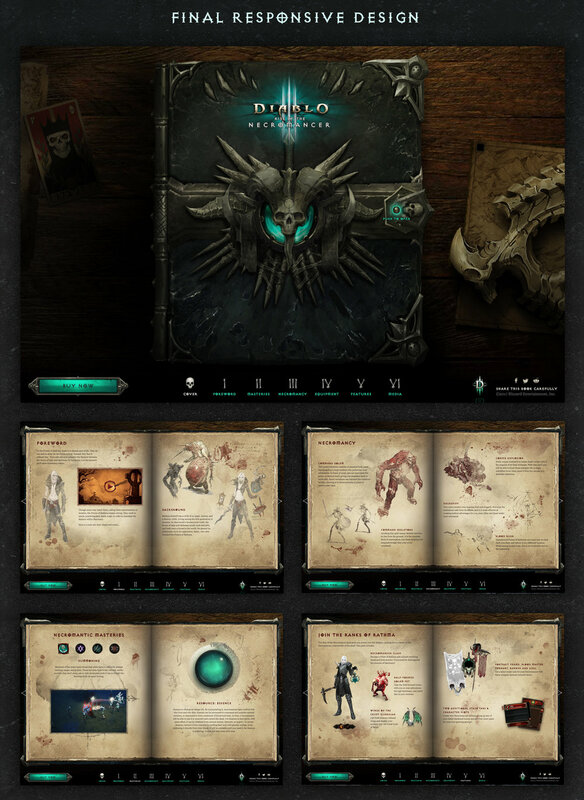 Targeting current and churned players, our primary objective was to sell the game so I wanted to engage users in a rich, story driven interactive guide to game updates. 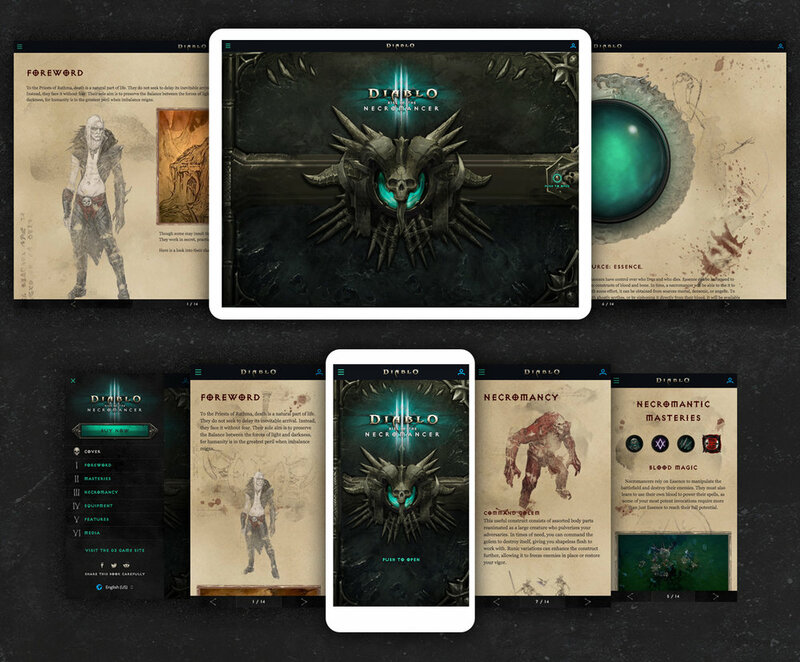 We also leveraged our considerably talented engineers to develop a fully mobile responsive site that users could use to buy from any device.